For a few years, I saw the word “subitizing” and I had no idea what it meant. It is one of those things where you don’t know the word very well, but once it enters your consciousness, you start to see it more and more. 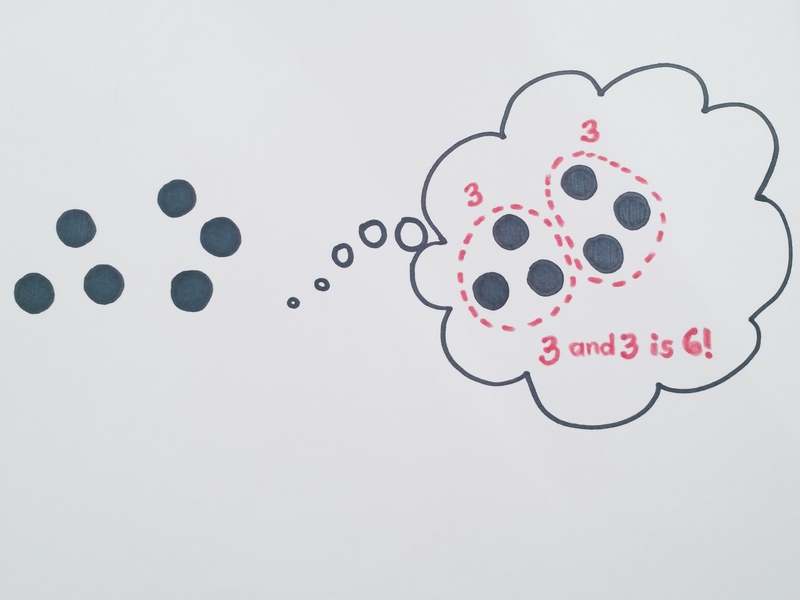 Last summer I learned what subitizing is (I pronounce it soob-i-tizing, some people say sub-i-tizing), and how important it is for K-2 students to be able to do. Quite simply, subitizing is the ability to count a collection of items without having to count each item individually. For example, when you roll a dice you automatically know the number without having to count each dot individually. Subitizing is important because it means that children can hold an image in their minds. They are able to group collections effectively so that they no longer need to count by ones. We want them to do this with regular patterns and irregular patterns. You know that children are subitizing if they can tell you the number in the collection when it is flashed at them quickly. We want students to group items together to count efficiently. How do you have students practice this skill in the classroom?